With great pleasure I am pleased to show off our latest virtual tour. 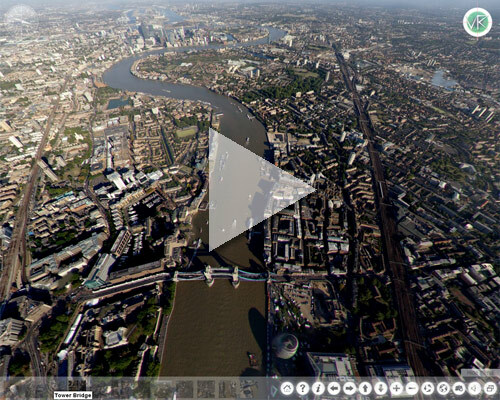 Following our trip in Africa on behalf of a major oil international company where we shot over 50 aerials, we were delighted to put these skills to use and create an aerial virtual tour of London. Inspired by the fantastic photography of Oleg Gaponyuk, VR Web Design are proud to be the only company in the UK offering HD Aerial Virtual tours. Follow our route from the 02 Millenium Dome to Battersea Power Station. This tour provides you with a birds eye perspective of London that few have experienced before.